The last 2 years, René van den Berg from Catch Me Games has been working on the boardgame Treasure Hunt. Finally, it is there, we received the 1st delivery last week. For some time, we are discussing the distribution with Catch Me Games and we can now announce, that, not only we deliver in the Netherlands and Belgium, but throughout Europe. A very big step! On the dutch forum Globalcaching.eu there is already a discussion ongoing about the game (in Dutch). Maybe something for you for the long winter evenings? Of course, we also have some new Geocoins to announce, with a Stoffelen design, the Frisia Geocoin and a series of speciale Geocoins with almsost a complete collection of Compass Rose Geocoins from 2005 - 2010. Plan a route to complete your own secret mission before the others. Your explorer needs to travel over roads and sandy plains, through woods and rivers, to arrive at the next coordinate using the most efficient or tactical route. Once arrived, you will receive a new coordinate or clue where the treasure on that route can be found. But watch your opponents' explorers! They will try to sabotage your activity with fallen tree trunks, damaged bridges or other obstacles. Given the right action cards, a bit of luck and perseverance, you could be the first to accomplish your mission and reach the greatest treasure of all, victory! The game is language independent. The rules of the game are in English, German and Dutch. A very special Geocoin, that will take record of your progress in Geocaching. 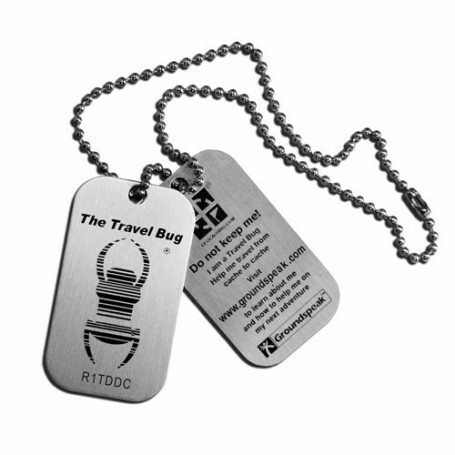 The Geocaching Matrix Geocoin - the perfect addition to your Cache equipment / coin collection! On the frontside there is a wonderful Matrix dsign with a difficult mystery puzzle hidden on the coin. On the backside there is the Geocaching Matrix with all 25 combinations of difficulty and terrain rating ((1/1, 1/2, 1/3 ... 5/5...). You will also receive 25 glass stones in different colors, which can be glued into the fields on the coin, so that you have the overview which combinations have been achieved yet. For glueing the stones a very small amount of e.g. superglue should be applied e.g. with a toothpick into the prepared recessed areas. The Frisia Geocoin is made after an old Dutch coin, a silver florin of Frisia, minted in the city of Leeuwarden in 1684. Frisia was one of the 7 provences of the Republic of the Seven United Netherlands. In 1579 these northern provences of the Netherlands signed the Union of Utrecht, in which they promised to support each other in their defence against the Spanish army. This was followed in 1581 by the Act of Abjuration, the declaration of independence of the provinces from Philip II of Spain. This coin was introduced in Frisia (a region in the Northern Netherlands) in 1601 as a response to changing coin weights in the southern Netherlands. The man on the front of the coin is an unknown Frisian nobleman, with on his head a 'klapmuts' or in english - badly translated - a fliphat. The latin text 'Nisi Dominvs Nobiscvm' means 'Unless the Lord is with us'. The text '28 st' means 28 stuivers, the actual value of this Frisian florin. The two little 'Pompeblêden' (leaves of a water lily) is a little reference to the current Dutch provence Friesland. On the back of the coin the arms of Frisia is minted. The latin text 'Florenvs Argent Ordi Frisia' means 'Silver Florin of Frisia'. You can find these and other new geocoins on our website New geocoins. There is a new model microcontainer black. These containers are 4.5cm high and have a diamater of 2.2cm. New in the serie prehistoristoric animals are the Mammoth, Sabertooth and T-Rex. They are all made of the same material as Travelbugs and are appr. 5 cm. The Cachekinz are trackable at Geocaching and have their own icon. You can find these and other trackablesat our website in Trackables.